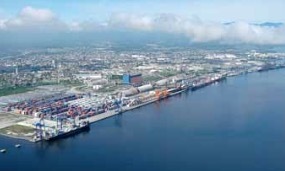 The Brazilian government has decided to change the way it awards port concessions. Previously, those bidding with the most competitive tariffs to be charged to customers were favoured. Under a new round of bidding, the emphasis has been put on how much the concessionaire is prepared to stump up for the concession. According to the government, the change in emphasis has come from the private sector. A new block of concessions worth $2.36 billion is scheduled to be offered to the market in the first half of next year, encompassing some 21 terminals across various ports. These will be located in Rio de Janeiro, Paranagua´, Itaqui, Santana, Manuas, Suape, Sao Sebastiao, Santos, Sao Francisco do Sul and Aratu.